Toggled LED (2) light shop light fixtures are ideal for usage in garages, workshops, and basements. Toggled LED light fixtures do not use ballasts which reduces energy usage. 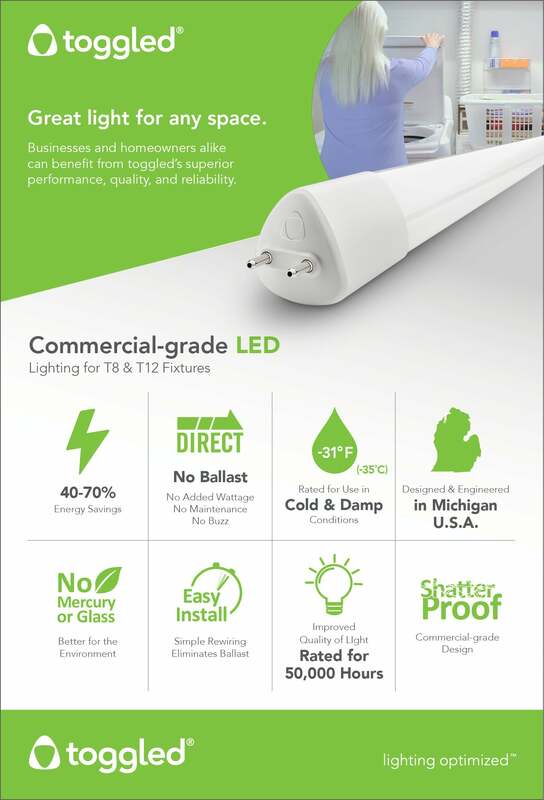 Toggled direct-wire LED tubes are UL classified, FCC compliant, are rated for 50,000 hours, and have a *limited 6-year commercial warranty (*limited lifetime residential warranty).